The Ministry of Health plans to revise and increase 350 medical service fees during the period 2011-2012, by at least 7-10 times from its current level. The issue was discussed in a meeting in Hanoi on September 14. Under the plan, fee for treatment and examination, health checkups, bed and services requiring technical operations such as endoscopy, anesthesia will increase 7-10 times over the current level while some other services, mainly traditional medicine services, will soar 2-2.5 times. Accordingly, the price of clinical examinations will rise from VND3,000 to VND25,000. 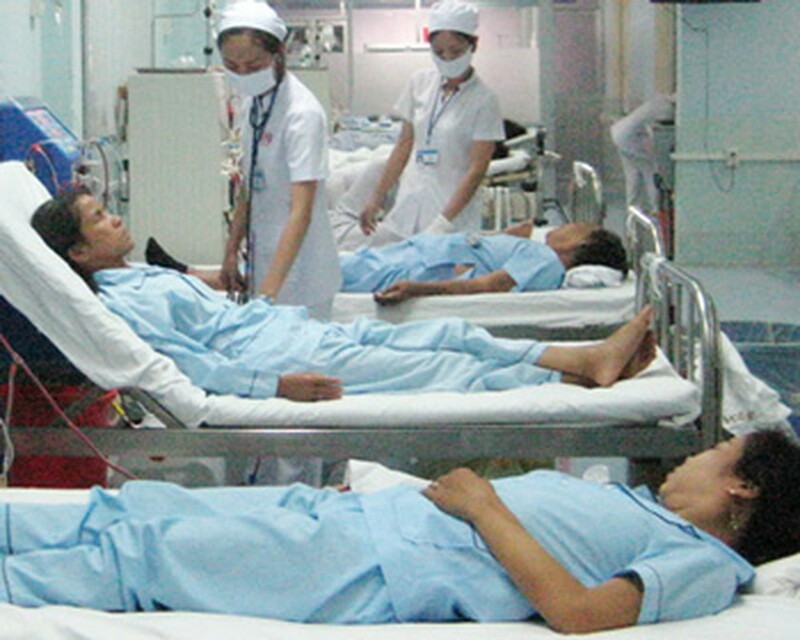 Patients will have to pay VND30,000-120,000 per day for sickbeds, as opposed to the current price of just VND4,000- 18,000. In addition, cost for several surgeries will increase drastically. For instance, procedures to remove abscess and tonsils will jump from VND30,000 to 400,000 per operation. The ministry explained that the present hospital fee issued in 1995 was no longer suitable in present day context, making it difficult for hospitals to operate. If hospital fees are not revised, many state hospitals in districts will face risk of shutting down. A district hospital normally collects an average VND1 million a day while it incurs expense five times that amount. The Ministry presented its renewed proposal of upgraded fees to the deputy Prime Minister Nguyen Thien Nhan. Nhan said the adjustment to hospital fees was necessary but the ministry should consider other ways so that the poor can afford the facilities, and also provide additional support to poor and social welfare beneficiaries. The upgraded medical fee may take effect in 2012.